What Will the World Half Record Holder Run? Milan Marathon: Drug Cheat Pamela Chepchumba Wins Milan Marathon in 2:25, Evans Kiprop Cheruiyot Wins Men's in 2:09 Charles Kamathi, former world 10k champ, ran 2:11:25 in his debut and siffered from cramps according to the race website. 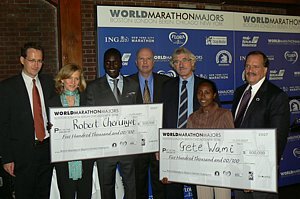 *Edith Masai Still Going Strong at 40 She won the first of her 3 world cross titles at 35. Now she's running the marathon. 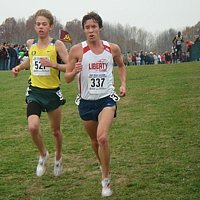 Reid Coolsaet and Carmen Douma Hussar Win 2007 AGSI Canadan XC Nationals Don't believe in the power of LetsRun.com (read above about the US HS nationals)? 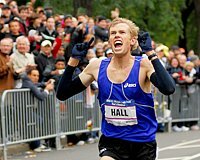 Hmm, then why did the man who screamed out "LetsRun.com post-race party" in the middle of the Bad Boy 8k in New York on Nov. 3 win?